Would You Take Home This Scared Kitten Clinging To The Wheel Of A Truck? 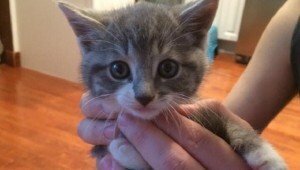 A man found a scared kitten whose mother had abandoned her clinging to the wheel of a truck. He brought the kitten home, and now she has a full belly and a happy life! 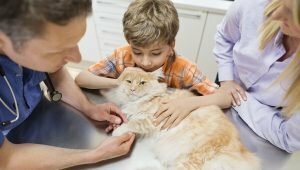 The month of May is Pet Cancer Awareness Month, and it's a great time to spread knowledge and educate ourselves about the things we can do to prevent or treat cancer in our pets. A kitten named Cygnus has an incredibly long tail that might shatter the old Guinness World Record for world's longest domestic cat tail! 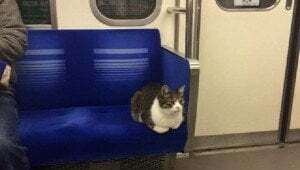 A mysterious cat in Japan boards and rides trains alone, sitting quietly and politely. 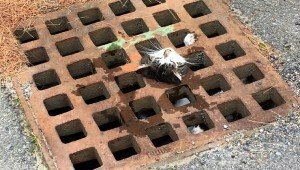 The cat was hanging by the neck and barely breathing when firefighters arrived, but with some hard work and some dish soap, they managed to get her free. 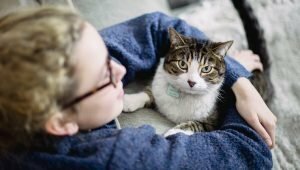 National Pet Week is celebrated annually during the first full week of May to encourage responsible pet ownership and say thanks to our beloved animal friends. 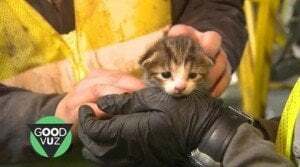 A worker at a recycling plant pulled a kitten off of the line at the last moment, saving her from the blades of the compacting system. A cat got her hind paw stuck in a fence and was dangling upside down until a Good Samaritan came by and helped. 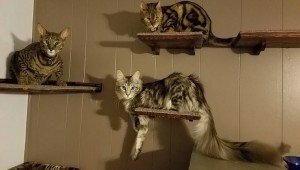 They named the cat Picket. A kitten walked out of the woods and sat on the lap of a human who lived nearby. The little cat refused to leave, so now she has a forever home. Scrappy is just like any other cat, but a few years ago his all-black coat started to change colors. 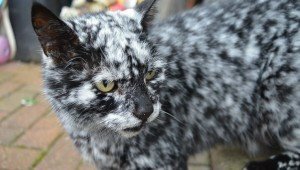 Thanks to a rare condition, he has unique black and white fur now. 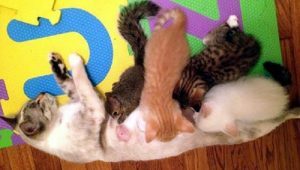 Whether they are biological, adopted, or foster, these cat moms who went above and beyond to keep their babies safe deserve to be celebrated on Mother's Day. 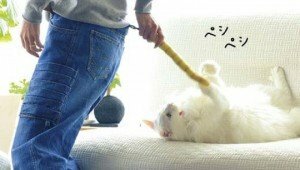 Pool noodles can be used for all kinds of DIY projects that might make life easier or more fun for you and your cat. Give these a try. Is Having A Feral Cat For Your Yard A New Trend? Homeowners in the city of Chicago are looking to fight rats and pest infestations with feral felines for their yards. The trick is getting them to stick around. 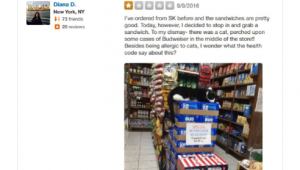 A woman left a negative review on Yelp of a bodega because of the store's resident cat. The internet didn't take too kindly to her throwing shade. 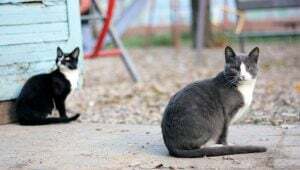 The Japanese retailer that sold the "Scent Of A Cat's Forehead" bottled fragrance is now selling a pair of jeans that are supposed to attract cats. 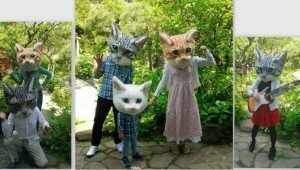 A wool artist in Japan makes handmade, lifelike, wearable cat heads. We can't decide if they're awesome or creepy yet. Some experts believe cats may actually be better at sniffing out bombs or drugs, detecting diseases, or tracking down missing persons than dogs. 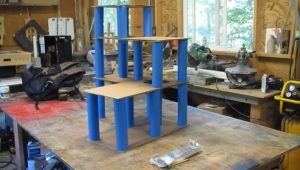 Company Makes “Catios,” Outdoor Patios For Cats! 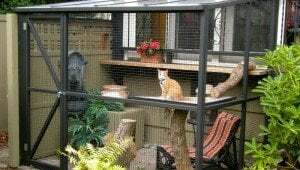 Catio Spaces makes custom-made, enclosed, outdoor patios where cats can enjoy being outside without the dangers of roaming freely. 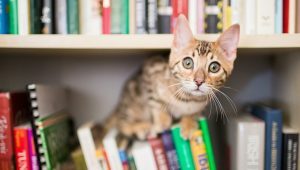 A new study shows that cats can remember the "what" and "where" associated with episodic memories better than previously thought. 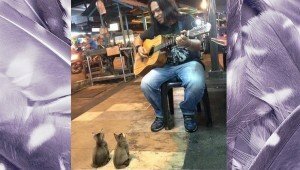 A street performer in Pangor, Malaysia sat down to play a song at the end of a long night when he suddenly found an audience of four kittens listening in.